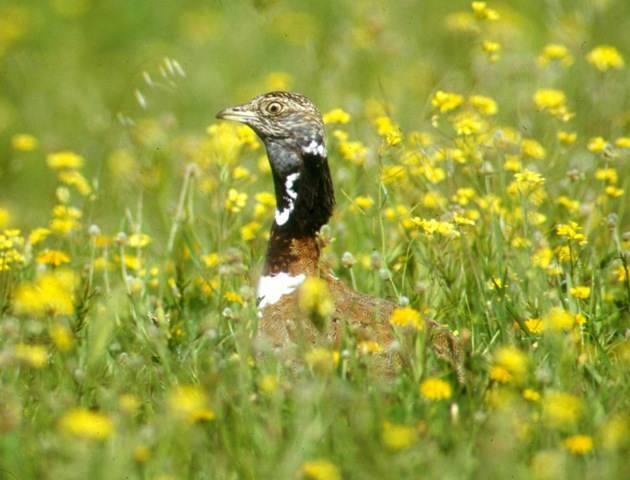 Every January for the past twelve years I have participated in SPEA’s survey of birds wintering on the farmland and grasslands of Portugal’s interior. SPEA – Sociedade Portuguesa para Estudo das Aves (Society for the Study of Birds) is a non-profit association that promotes the study and conservation of birds in Portugal. It equates with the British Trust for Ornithology (BTO) in the United Kingdom. On 24th January, I set out an hour or so before sunrise and from São Brás de Alportel drove up the old, winding Lisbon road (N2) that torturously crosses the Serra de Caldeirão. In daylight, this is an attractive route passing through corkwoods and pretty villages with stockpiles of harvested cork. Roadside signs announce that this historical road passes through the heart of the Algarve. The air was clear and as I passed through sleepy Ameixial with its distinctive buildings boasting contrasting keystones, I noticed that the landscape was white with frost. I descended to the Ribeira do Vascão and crossed into the Baixo Alentejo. After a few kilometres I reached Dogueno, where my 25km transect began. From here I drove eastwards on minor roads through Santa Cruz, São Pedro de Solis, Quinta, Diogo Martins to the wonderfully named São Bartolomeu de Via Gloria and finished at the restored watermill on the Vascão, Moinho de Alferes. Every 500m I stopped (if safe) and surveyed the open areas, left and right, for birds. My primary targets were Northern Lapwings and European Golden Plovers from the north but all larger birds (non-passerines), crows, starlings and shrikes were counted. In the past, the road was unimproved and the countryside unfenced. Then it was easy to leave the road but today it is more difficult to stop but people are friendly and understanding. Strangers are unexpected and often I am asked if I need help. I show my binoculars but they mean nothing. Birdwatchers head further north for the plains of Castro Verde and the wonderful birds to be found there. Here the countryside is open and dotted with pretty whitewashed villages but the landscape is more punctuated and not so vast. Accordingly, the birdlife is less diverse. I call this land at the edge of the Algarve and under the steppes of Castro Verde the pre-prairies. There is much less farming and grazing than when I first visited. A new feature is the huge wind turbines but here they do not look inappropriate and have much wind to gather. 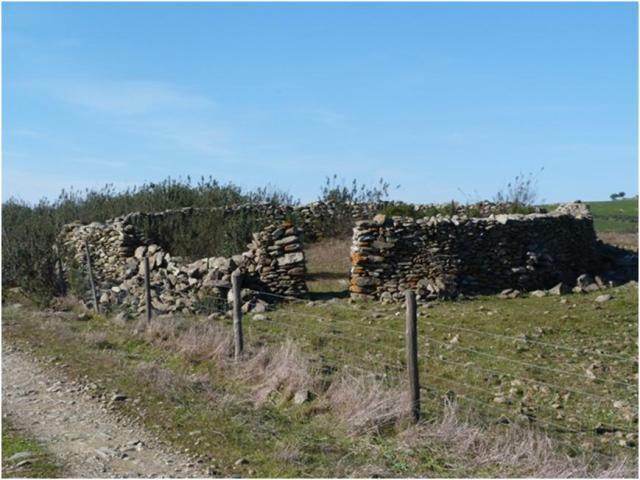 A reminder of the past is the stone corrals that were constructed to protect cattle from marauding wolves. And what of the birds? This was a fairly good year as I found 302 European Golden Plovers and 85 Northern Lapwings but disappointingly the only birds of prey were a Hen Harrier and a Common Kestrel. I was overjoyed to find two sizeable flocks of Little Bustards. 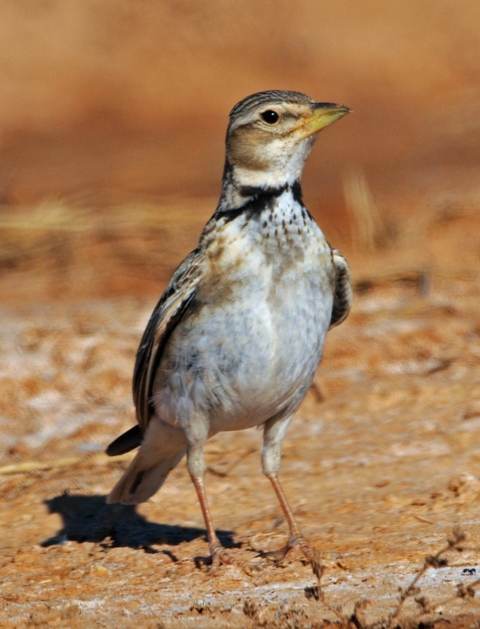 However, the birds that really thrilled me were a flock of wintering Calandra Larks, a distinctive species that I’d never seen in the Algarve and I was only 2km from the river. As a naturalist I look beyond birds. 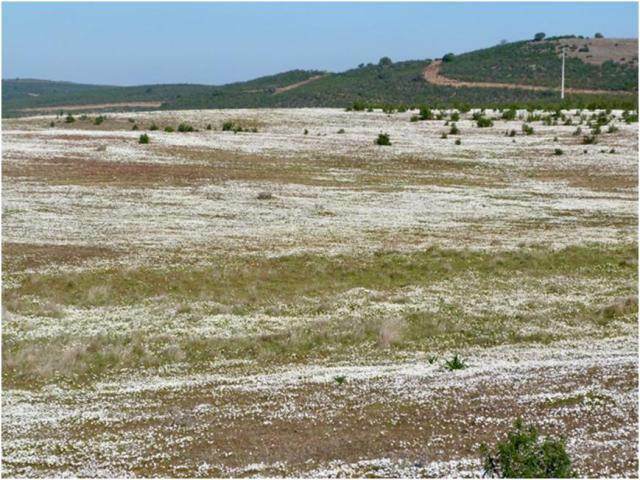 As the sun rose the frost melted but the grasslands remained white. 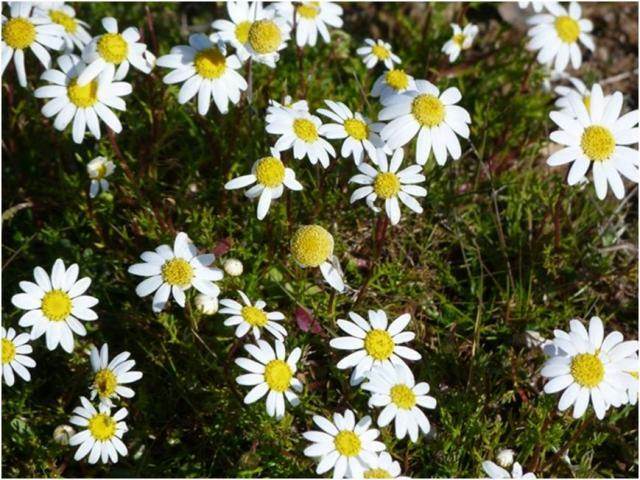 A huge carpet of flowering chamomile covered the land. Along the road verges Field Marigolds contrasted with invasive Bermuda Buttercups. 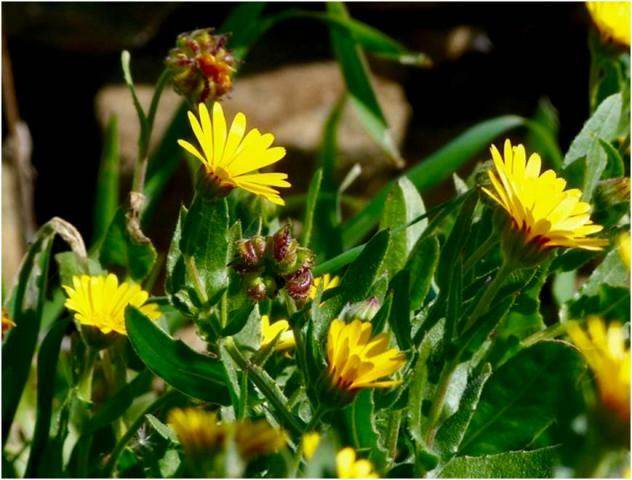 Ten years ago, I noted that Bermuda Buttercups had not reached the area. 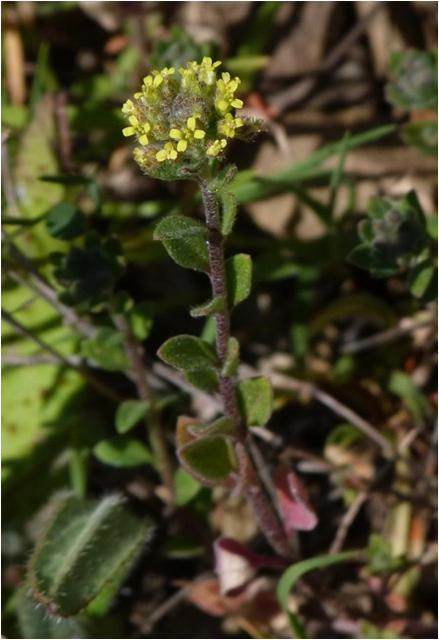 For me, the real discovery was a patch of Alyssum minutum, a minute crucifer (Brassicaceae) that the website Flora-on listed as Portuguese but knew nothing of its distribution and could not provide a photograph. It was a Russian language website that provided the answer. There is always something to discover in the Algarve. I look forward to repeating the exercise next year.